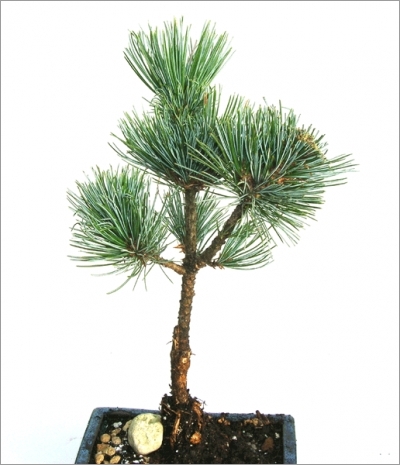 The pinus pumilia also called pine dwarf Siberian pine is a small shrub that can reach 3 meters in height. Ideal for bonsai. The leaf-shaped hands can reach 6 cm and the cones are 3-4 cm.